Megumi and Mika enjoyed setting up our table last night, while Andrea (aka Grandma) dined on sushi and edamame with Mika’s son Lloyd. We are delighted to be directly behind an amazing display of art kimonos created by a local group of artists. 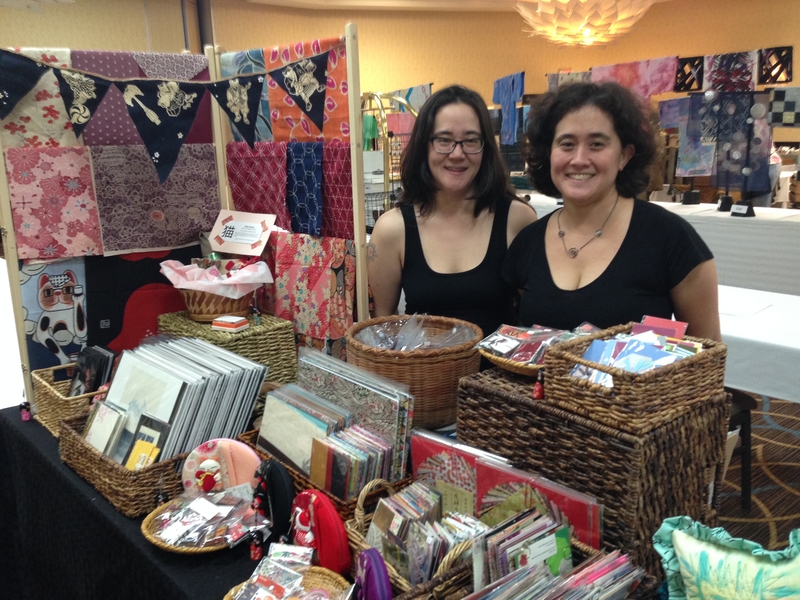 We were so excited to see the beautiful creations and happy to be presenting our goods nearby. 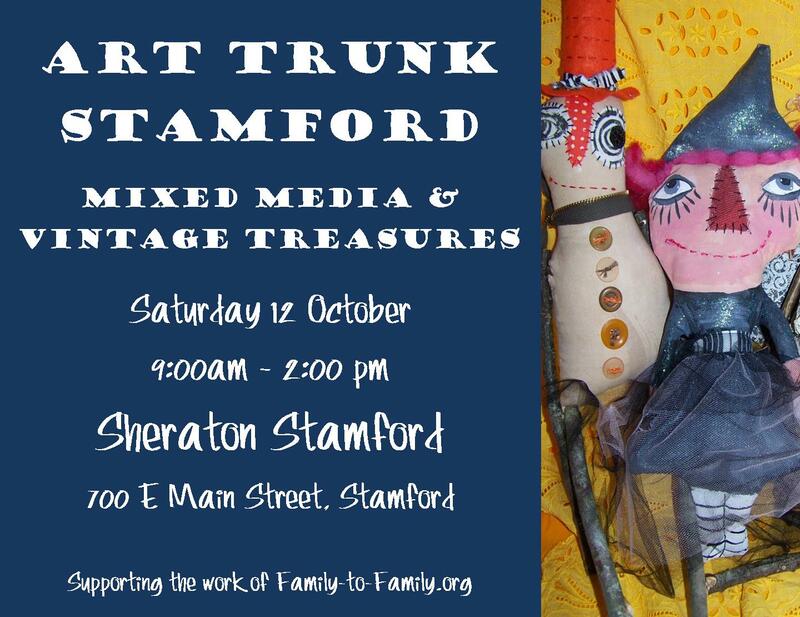 Megumi and Andrea are at the Art Trunk from 9 – 2 pm TODAY at the Stamford Sheraton. Come on down and check out our fun stuff! This entry was posted in Uncategorized by nekosisters. Bookmark the permalink.